Sustainable materials: Vertical groove cladding and render. 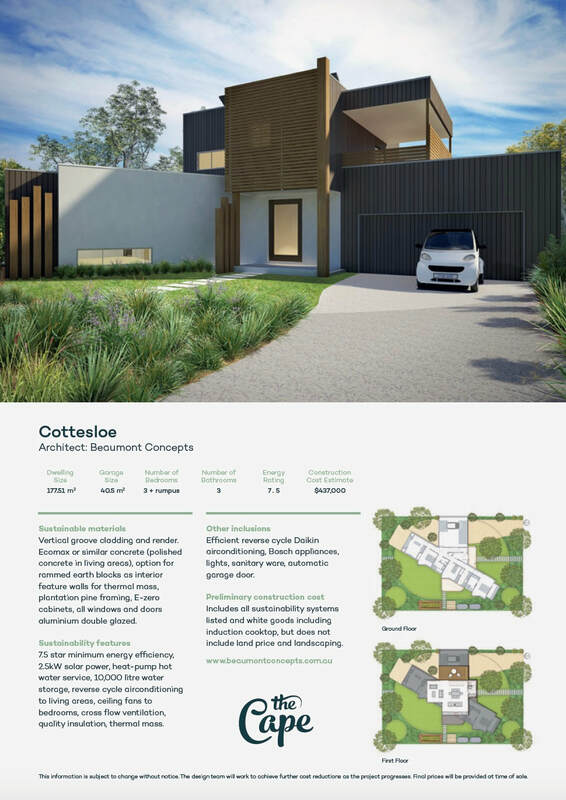 Ecomax or similar concrete (polished concrete in living areas), option for rammed earth blocks as interior feature walls for thermal mass, plantation pine framing, E-zero cabinets, all windows and doors aluminium double glazed. Other inclusions: Efficient reverse cycle Daiken air conditioning, Bosch appliances, lights, sanitary ware, automatic garage door.